Monochrome and blocks of colour are in fashion this year, so combining the two I made this dazzling 15" necklace with 8mm swarovski beads with a sterling silver clasp. By using such neutral colours this piece will go a long way and compliment so many outfits. 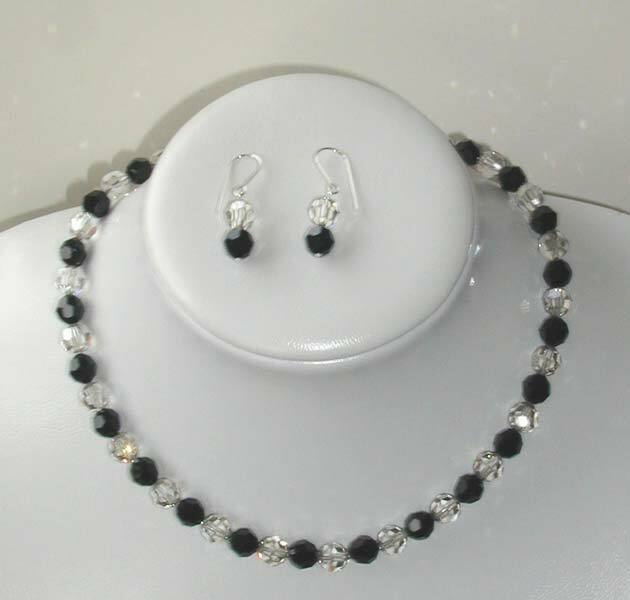 To accompany the necklace are a pair of sterling silver earrings using the same black and crystal beads. Wear them together or on their own, for evening wear or make your colleagues jealous by wearing them in the office.